About 70 percent of the residents have Medicaid, Medicare or Medicare Advantage coverage. (Bloomberg) — Puerto Rico’s elected officials have a message for their counterparts on the mainland: Fix health care funding disparities or care for our poor and elderly in your hospitals. Almost 70 percent of the island’s 3.5 million people get health care through Medicaid, Medicare and Medicare Advantage. Funding formulas for these federal programs shortchange Puerto Rico because it’s not a state, commonwealth officials say. Puerto Ricans are U.S. citizens “who can hop on a plane and go to Florida, Texas and the Carolinas and get full Medicaid funding and other federal benefits,” said Pedro Pierluisi, Puerto Rico’s non-voting representative in Congress. As Puerto Rico runs out of a cash to pay its $70 billion debt, commonwealth and U.S. officials are warning that an economic and fiscal crisis could become a humanitarian one. Puerto Rico, where 46 percent of citizens live in poverty, gets a lower percentage of federal funds for Medicaid than 26 other states even though none comes close to its levels of poverty. Making up for inadequate federal funding has contributed to Puerto Rico’s debt crisis, commonwealth officials say. See also: Is New York the next Detroit? Puerto Rico racked up more debt than any state except California and New York to balance budgets as the island’s economy has shrunk 15 percent since 2006. Commonwealth obligations have been trading at distressed levels for two years. A tax-exempt general-obligation security with an 8 percent coupon changed hands Dec. 3 at an average yield of 11.2 percent, for an equivalent taxable yield of 18.5 percent for top earners. As part of a four-part plan to address Puerto Rico’s fiscal and economic crisis announced in October, the Obama administration is asking Congress to fix the commonwealth’s funding disparity under Medicaid. The U.S. Treasury is also pressing Congress to give Puerto Rico sweeping powers to reduce its debt burden through bankruptcy, provide fiscal oversight and give Puerto Ricans access to the Earned Income Tax Credit. Delays in health care reimbursements have forced some medical centers to close floors and eliminate specialized services, according to congressional testimony on Oct. 22 by Antonio Weiss. Weiss is the Treasury Department’s point person on Puerto Rico. Doctors are leaving at a rate of one per day, part of the record 84,000 people who left the island in 2014, Weiss said. Fewer doctors mean patients wait longer to see specialists and more visits to emergency rooms, said Ricardo Rivera, executive director for the Puerto Rico Health Insurance Administration. So far, the Republican-controlled Congress is unmoved. 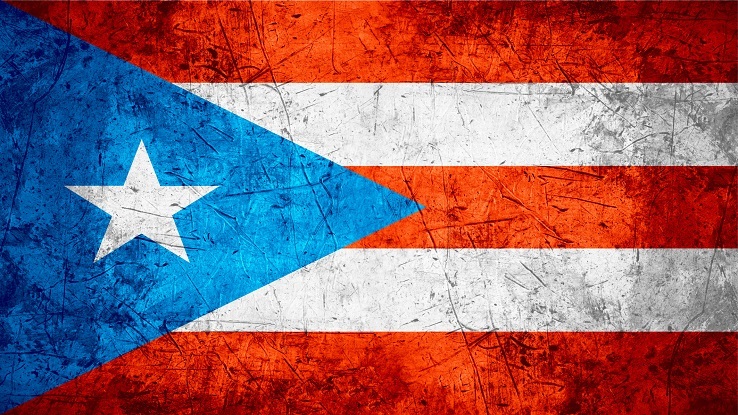 Legislation introduced by Pierluisi to improve Puerto Rico’s treatment under federal health programs and give the commonwealth’s agencies access to bankruptcy has stalled. Equalizing federal health care funding and extending programs like the Earned Income Tax Credit and Child Tax Credit to Puerto Rico would cost $30 billion and reward its fiscal recklessness, said Orrin Hatch, the Republican chairman of the Senate’s Finance Committee. Medicaid spending in Puerto Rico totaled about $2.8 billion last year. The federal government contributed $1.6 billion, or 57 percent of the cost. By contrast, the federal government pays 74 percent Medicaid costs for Mississippi, which has the lowest per-capita income among U.S. states, according to data from the Kaiser Family Foundation. Despite having half the poverty rate of Puerto Rico and 500,000 fewer people, Mississippi gets $4.1 billion in Medicaid money from the federal government. Before the Obama administration and Congress boosted Medicaid funding for Puerto Rico by $6.4 billion with a one-time grant under the Patient Protection and Affordable Care Act (PPACA), its share of aid was even lower because federal law caps aid. In 2005, the federal government picked up 18 percent of Puerto Rico’s Medicaid spending. The federal government contributes a range of 50 percent to 75 percent share of Medicaid costs to states depending on the wealth of the state. The territories receive a capped lump-sum grant. One potential rationale for the disparity is that Puerto Rico residents don’t pay federal income taxes, Sommers said. Puerto Rico’s employees and employers pay payroll taxes that finance Social Security and Medicare. The commonwealth projects the one-time Medicaid grant it received under PPACA will be depleted by March 2018. If the funding isn’t replenished, the territory will go back to receiving aid under a formula which caps the federal government’s match. “The system will collapse,” said Rivera, the executive director for Puerto Rico’s Health Insurance Administration. Disparities also exist in Medicare funding. Puerto Rico’s hospitals don’t get the same reimbursements as U.S. hospitals. Mainland hospitals receive a payment based on the nationwide average operating and capital costs, while Puerto Rico gets a lower rate based, in part, on the average costs of hospitals in Puerto Rico. The commonwealth is also excluded from low income subsidies for Medicare’s prescription-drug program. Sen. Bill Nelson, D-Fla., introduced legislation last week making Puerto Rico’s Medicare beneficiaries eligible for those subsidies. Puerto Rico is working on a plan to make its Medicaid system more efficient, Rivera said. The commonwealth hopes to submit the plan to the Centers for Medicare and Medicaid Services as soon as the end of the month. Puerto Rico could save $150 million a year by cutting Medicaid benefits it provides above federal minimum standards, according to a report commissioned by the commonwealth by three former International Monetary Fund economists. Dennis Rivera, chairman of the Puerto Rico Health Care Crisis Coalition, a group of doctors, hospitals, insurers, unions and business that’s lobbying the federal government for more health care funding remains optimistic the Obama administration and Congress will come to Puerto Rico’s aid. “American citizens will not allow Puerto Rico to dig into a deep humanitarian crisis where health care is going to collapse,” he said. —With assistance from Michelle Kaske.